It’s always fantastic when a TV show comes to Comic-Con not only with news to announce, but also with a full-on episode to screen for attending fans. The Voltron: Legendary Defender team gets this, and this year, they came correct in the best way possible. 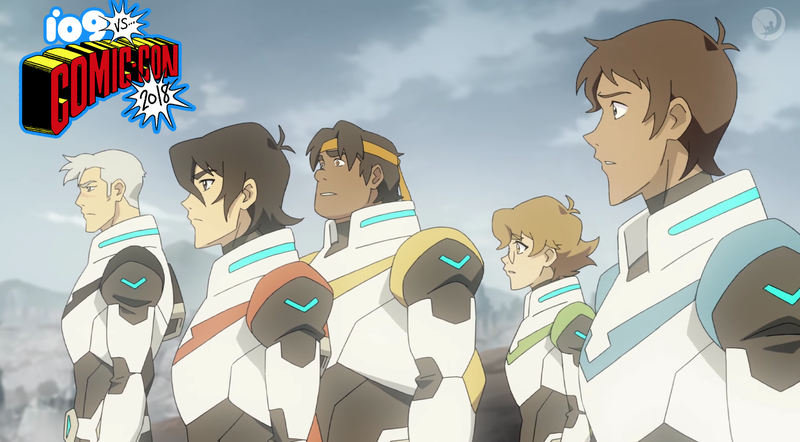 The biggest things you need to know about Voltron’s seventh season are that 1) it’s the penultimate season of the series, 2) it’ll be back to tis full 13 episodes long and 3) it’ll introduce a new character, Adam, Shiro’s boyfriend. With the epic battle with Zarkon behind them and their castle destroyed, the Paladins plan on making their way back to Earth for some much needed rest and rejuvenation. As they make their way back from the quintessence field, however, they’re shocked to discover that pretty much everyone assumed that they and Voltron were destroyed, and that idea seems to have thrown the galaxy into yet another epic conflict. With the Lions seemingly malfunctioning at the worst time possible and the Galra planning to launch an all-out attack on Earth, the Paladins are going to be stretched to their limit when Voltron’s seventh season drops August 7 on Netflix .